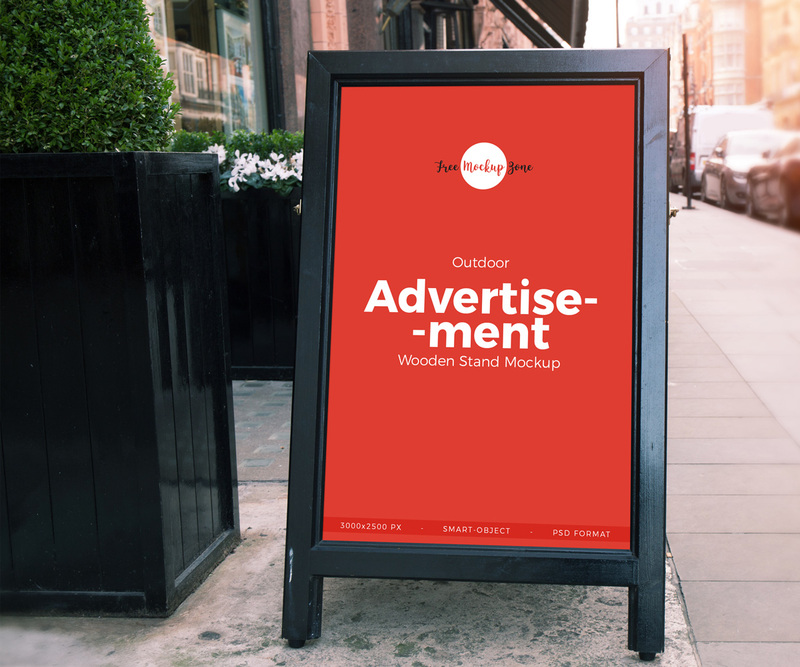 Create a realistic presentation of your advertisement designs with this Free Outdoor Advertisement Wooden Banner Stand Mockup PSD. PSD file contains smart-object layer and designers can easily get the desire presentation by using it. So, get our all mockups for your future design projects.